Do you have problems crawling and indexing your blog post? Pinging Websites will help! That should not be a problem for you at all! Everyone wants their blog or website to be indexed to the search engines as quickly as possible. You can use pinging websites to ping the crawlers so as to crawl and index your blog posts at the highest speed. It is essential that your blog or website is indexed very quickly because it does not just index soon. However, it can also get high SERPs (Search Engine Result Pages) by indexing the inbound backlinks of your website or blog. And we all know that higher SERPs = higher blog traffic. So now you agree with me that ping websites are also a great tool? I love the ping sites because it's free. Payment is not necessary. Sometimes you don’t have to register, just enter your blog URL and select ping my site. With WordPress, there is an automatic way to ensure that your blog posts pings to search engines after clicking on publish. That is the power of WordPress Platform, everything is possible. But wait, I still love blogger. Blogger remains my favorite platform. Most Masters of SEO who know their job use ping tools or premium services such as OneHourIndexing to quickly index in major search engines. That is why you can seize this opportunity to make your SEO and link building more efficient and faster. READ ALSO: "SEO Fundamentals for Improving Organic Search Rankings"
So today I'm going to share the list of 30 Best High Authority Ping Submission sites that I use to Ping my blog and quickly index your blog/website to the search engines. Pinging simply means informing search engines that your blog or site has been updated. By pinging, you let the search engines know that your blog has been updated with a new article (s) or new Posts. Therefore, the search engine will crawl and index your site or blog, making your published blog content available to search engines. And this can increase your blog page views and traffics. What is a Ping Submission Site? Ping Submission sites are the websites that allow users to ping their blog/website by merely entering their blog URL. Ping sites are a kind of online-based tool that will present your specified blog/website URL to various search engines, directories, communities, content aggregators and some other places. Pinging is mainly used if you have updated your blog/website or if you have a backlink. Why should you use Ping Services? No law in the constitution will force you to use the ping tools because you are an SEO or Webmaster; but who will not take the extra gold coin from the table? Yes, this is comparable to extra gold coins in the SEO industry. You can index the URL of your site or your backlink sources very quickly and easily with these tools. Remember that almost 70% of internet backlinks on the web still remain deindexed due to neglecting. So most SEO campaigns fail and do not see the expected result. Is there any Harmful Effect of Pinging too much? What happens if you repeatedly ask one of your friends the same question? It is clear that he/she will become irritated with you. In the same way, it is good to prevent the same URL from being pinged again and again within a short time. You can use 2-3 tools to ping the same URL from your blog or website. Do not ping any URL with ten ping-tools or 10 times with the same ping-tool. I recommend pinging only one time with a single ping tool and using a maximum of 2 or 3 ping tools. Index your blog or website faster to the major search engines like Google. Index your blog incoming links. Generate more traffic on your blog. Brings the popularity when the ping sites ping the directories and forums, people get exposed to your website there. READ ALSO: "How to Write SEO-Friendly Content in 2018"
Now, I will give you the best list of ping sites, where you can ping your blog or ping a website. And also make sure that you do not often ping, maybe once a day. You can do that after you have published your post, but if you post many times a day, you just do it in the night or midnight. And also make sure that you do not ping too many websites, choose one or two and ping there. Here are the top 30 lists of ping website where you can ping your blog URL. The list given above is the only best ping submission sites for pinging websites. To get the extra cake for your work, you have to make sure that you also ping the sources of your backlinks. It makes those backlinks visible to major search engines and therefore you get the desired ranking boost. Ping-o-matic is an excellent ping website; I mean the most popular ping tool used by many bloggers and webmasters. I love it because it's free and easy to use. 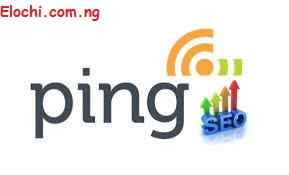 Yes, you need to know how to use ping sites to ping search engines, soon you will know how to do it. So follow all the steps below to achieve that. • RSS URL (optional): http://www.petfadblog.com/feeds/posts/default?alt=rss, replace with your blog address. So after you've done all this, scroll down and choose the services you want to ping. I suggest you check them all. Step 3 – After choosing all, click Send Pings. Voila, you have successfully pinged your site. This is the exact way I ping my blog. READ ALSO: "What Google’s 2018 Algorithm Updates Can Teach You About SEO in 2018"
If you like this list, then you can even share it with all your friends on social media sites. Enjoy the given list of best high authority ping submission sites 2018, and the comprehensive guide on how I ping my site/blog. Take advantage of this today to ping your blog or website for better indexing and ranking and see your blog posts and pages crawled at the fastest rate. Happy pinging and remember to stay away from spammy links!